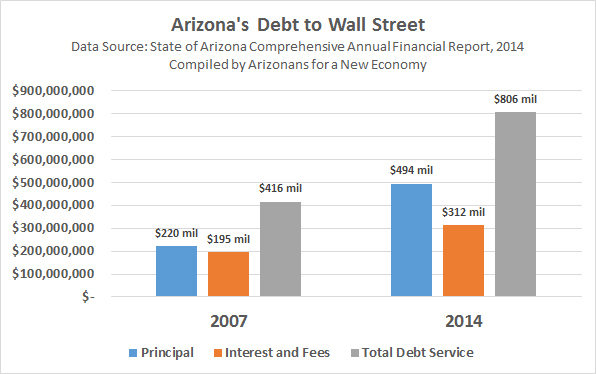 Arizona’s total debt service rose 94% between 2007-2014. Why is the state paying $312 million per year in interest on Wall Street debt when we could self-fund projects with public banking? The cornerstone of my economic reform ideas is establishment of public banking at the state, county, and/or municipal levels. In a nutshell, public banking advocates believe that austerity is a lie and that budget-cutting and layoffs by governments is unnecessary and harmful to citizens. There is plenty of money. The problem is that our taxpayer funds are held in too-big-to-fail banks on Wall Street and invested for the benefit of the banks’ shareholders– instead of being held here in Arizona and invested for the benefit of the citizens of Arizona. Public banks invest on Main Street for the public good — rather than allowing OUR MONEY to be gambled (and potentially lost… again) on Wall Street. There are many ways a public bank could be constituted. For example, in my speech to the LD9 precinct committee members, I suggested taking 10% of the state’s surplus rainy day funds and using that to establish an infrastructure bank. This state bank could self-fund much needed improvements and new roads to make the state more competitive and easier to traverse. It also could lend money to counties and cities to build their projects. In turn, the state would make a modest interest rate on the loans. Job Creation. Funding infrastructure projects around the state would create hundreds of good-paying jobs. Employment opportunities in construction and finance/banking administration would be directly created, but employment in other areas would increase as these workers buy goods and services, go out to eat, take trips, and otherwise recirculate their new-found income throughout the state’s economy. There will be a trickle down effect. Infrastructure Development & Repair. Fixing and expanding the state’s infrastructure will improve our competitiveness and our collective quality of life. Cost Savings. There would be millions of dollars in cost savings at all levels because the cities, counties and state would not be paying any Wall Street fees. Fees and interest on infrastructure projects can double the cost. Why follow our money back Wall Street and pay interest on it when we can be self-reliant and self-fund our needs? Revenue Generation. When the state infrastructure bank makes a loan to a city, it would make a modest profit on the loan. These funds could be used to pay for other state needs– like fully funding education. Investment in Ourselves. Starting with a modest investment in a specifically targeted public bank allows the state to dip its toe into public banking. Creation of a state bank is a big step. Many voters tell me that they like public banking but don’t trust the current Republican-controlled government and don’t want to give them any more power. Alternatively, the Arizona Legislature could help municipalities create public banks– for example by eliminating the requirement that city and county funds be FDIC insured. The City of Tucson’s two-year-old Community Banking Project is just such a first step down here in Baja Arizona. The City Council initially authorized $5 million in taxpayer funds be loaned to foster new local businesses and help others expand. It has been so successful that it was later increased to $10 million at this City Council Meeting (at about the 38 minute mark). In Mayor Jonathan Rothschild’s January newsletter, he said the Community Banking Project has lent $37 million locally since it started in late summer 2013. It’s time to take the next step, as the Cities of Santa Fe and Philadelphia are. These are staggering sums of money in interest and fees, and it is likely the tip of the iceberg, since there are probably other fees and costs tucked into these reports. Is it time for public banking yet? I think so. For more information about Arizonans for a New Economy, Arizona’s public banking Institute, check out our website here. For more information about the What Wall Street Costs America, go to the Public Banking Institute here. P.S. As of this writing, there is a state-owned bank task force bill in the Arizona Legislature (SB1301), introduced by Senator Andrea Dalessandro of Sahurita. It passed the Senate Financial Institutions Committee (6-1) in February. Please watch this bill and comment on Request to Speak and Arizona Voices. 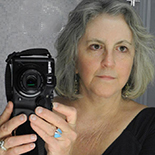 This entry was posted on March 8, 2016 by Pamela Powers Hannley in #PowersForThePeople, 2016 elections, Arizona Legislature, Austerity, Capitalism, democracy, education, jobs, Pamela Powers Hannley, progressive, Wall Street and tagged public banking, Public Banking Institute, Wall Street.